Getting starting in any business is tough. You have so many needs, but so little money. How do you prioritize what to spend your hard earned money on? 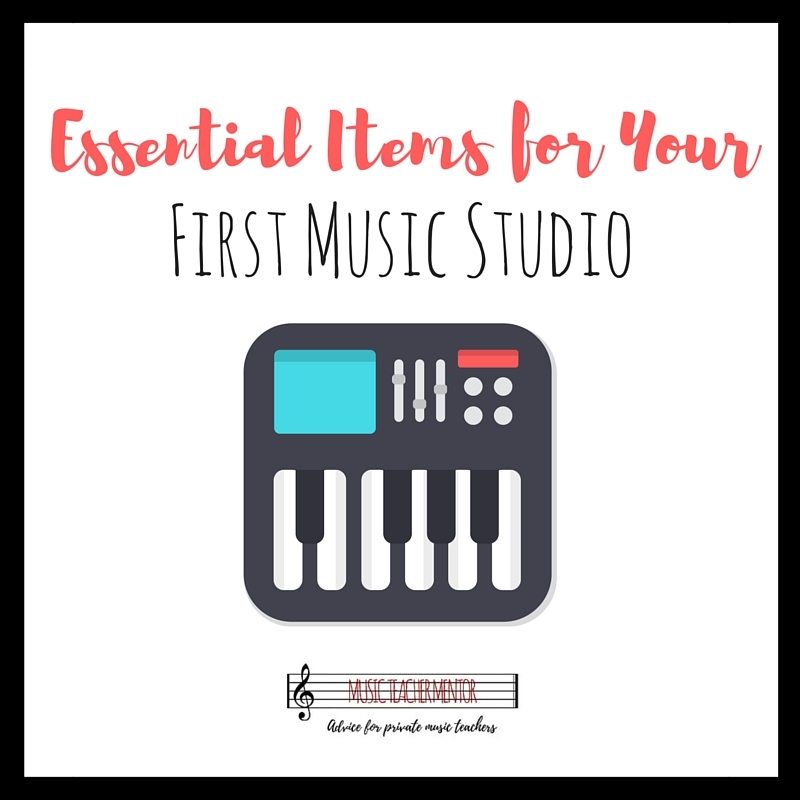 The list will vary from teacher to teacher depending on which instrument you teach and if some of these things are included with the space you’ll be teaching in. Here’s my list of first year music teaching business essentials. Hopefully you already have one from your days as a music student, or there is one available where you teach. If not, buy the best quality that you can afford. Even if your students buy their own books, you’ll want to have copies of whatever they are learning for reference, competitions, and if they forget their books at their lesson. Voice teachers, you’re in luck! I’ve compiled a guide specifically for you. Most parents start their search for a music teacher online, and you want to be on the first page of results when they start looking. Even if you have no budget, I would rather see you start out with a free website on Weebly (www.weebly.com) than have no website at all. How do you get to the first page? How do you get set up? More on that in our Studio Websites article. You must spend money to make money. In your first year you likely do not have a lot of word of mouth power on your side, so you’ll need to get the word out in a big way. See our 18 Ways to Recruit New Music Students for more ideas. Many of the apps you’ll use for your studio are free. Yeah! I recommend a tuner, metronome, and one or two music games. The music games are nice for when you have 5 minutes or less left in your lesson and you need to fill a bit of time. Any other essentials you would add? Hit me up in the comments! Should You Freelance or Work at a Music School?